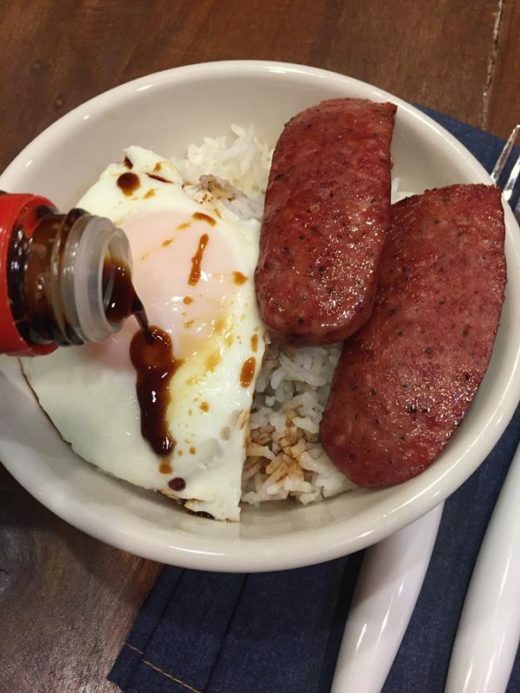 Tired of your serving basic boring rice? Rice doesn’t have to be boring. 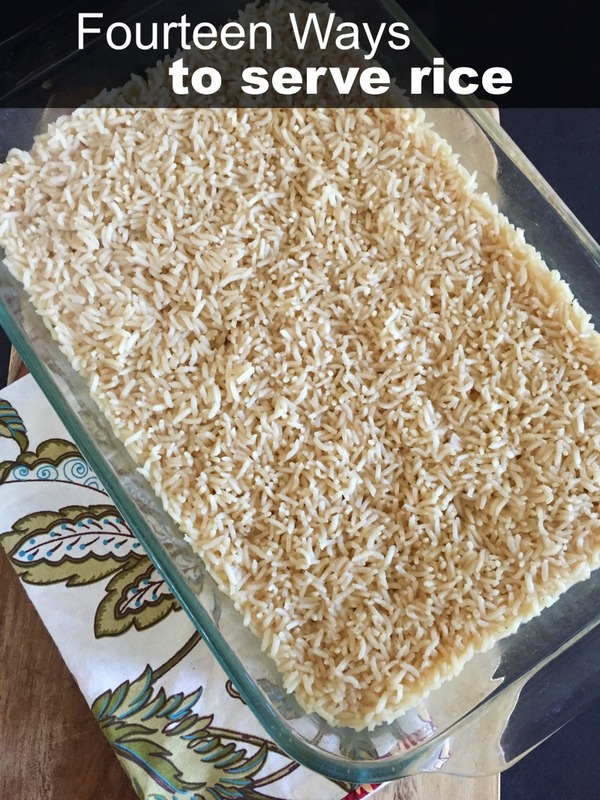 Rice can be easy, inexpensive, and delicious. 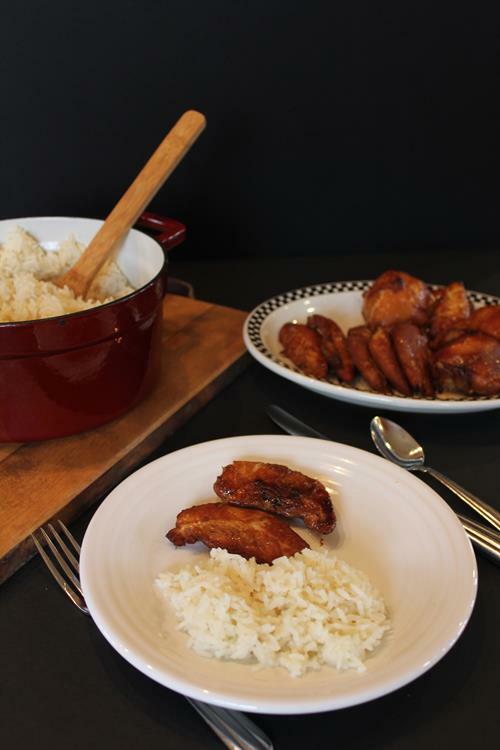 I am sharing fourteen ways to serve rice that are all easy to make, that don’t break the budget, and none of them are boring. There is a reason that so many cultures and people eat rice almost everyday. Rice is one of the most inexpensive foods that you can serve. In America you often hear the term,” a beans and rice budget”. Many people think of this as a bad thing. They have memories of the times when money was tight and they could only afford to eat rice and beans. 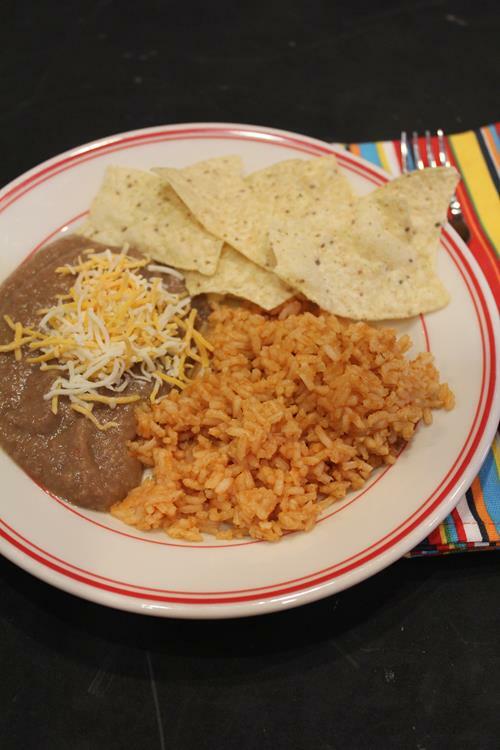 I think rice and beans often get a bad name because people tend to serve them the same way over and over again. They serve basic plain rice and basic beans. 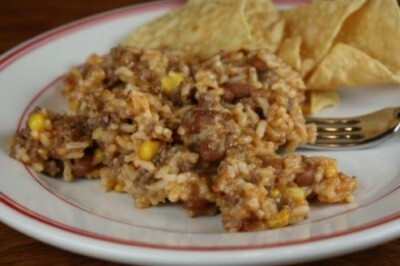 But there are so many ways to change up both rice and beans so that they are not boring. They don’t have to be served the same way over and over again. Today I want to focus on rice and the creative ways to use it so that it is not boring. Next week I will share tips and ideas for serving beans. Rice doesn’t have to be just a rice and beans budget type of food. Rice is delicious. The fact that rice is inexpensive is just a nice bonus. And let’s be honest, even those that are not living on a rice and beans budget could probably use some help cutting their grocery budget down. I know I could stand to trim my grocery budget a little bit. One of things about rice is that it is so versatile. It is a plain basic food, but you can add so many flavors to it to change it. You can make it for a Mexican meal, a Chinese Food type of meal, or a more American style meal. My favorite way to buy rice is in a large bag at Sam’s Club or Costco, but many stores sell larger size bags of rice. I buy the large bag, usually between ten pounds and twenty-five pounds and then I divide it up and store it in glass jars. Yes, I buy it in that large of quantity because we eat a lot of rice. If you have room to store that much of it, it really does save you money. Now let’s talk about all the quick, easy, and delicious ways to serve rice. 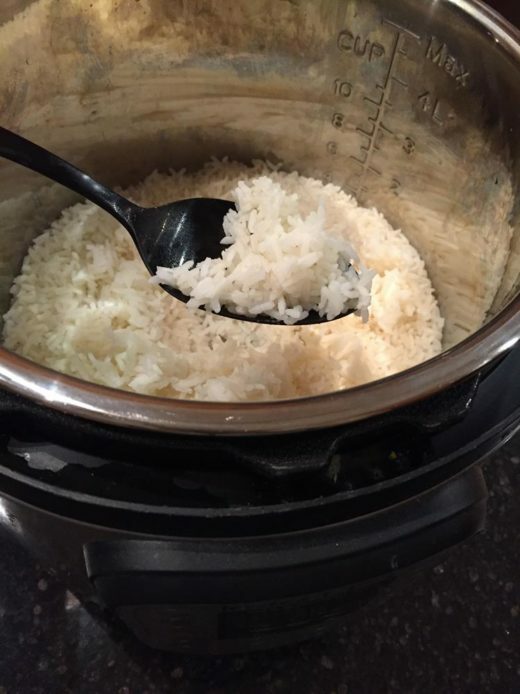 If you have an Instant Pot it is one of my favorite easy ways to cook basic rice. 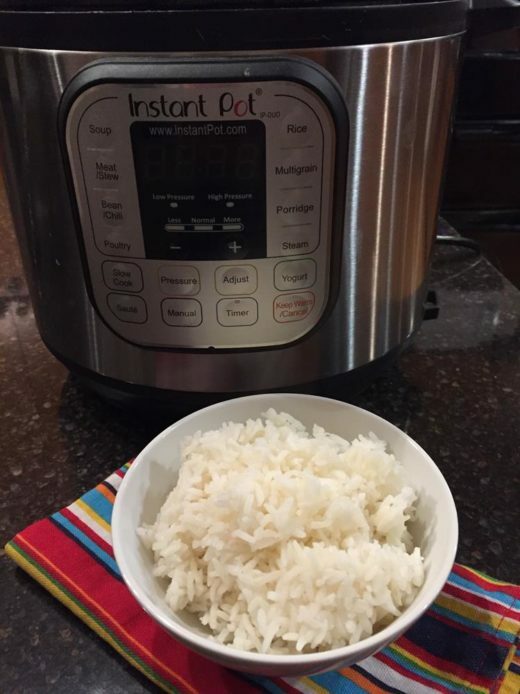 Yes, you can use the stove top, oven, or a rice cooker, but rice in the Instant Pot makes perfect rice every time. Eggs and rice is one of those meals that I have mentioned a lot over the years. And yes I know it sounds strange, but we love eggs and rice. We ate this often during our early years of marriage when our grocery budget was extremely limited. Our grocery budget is not nearly as strict anymore, but this is still one of my favorite quick, easy, and inexpensive meals to serve. I almost always have eggs and rice on hand, so I can serve this even on those days when I desperately need to go grocery shopping. 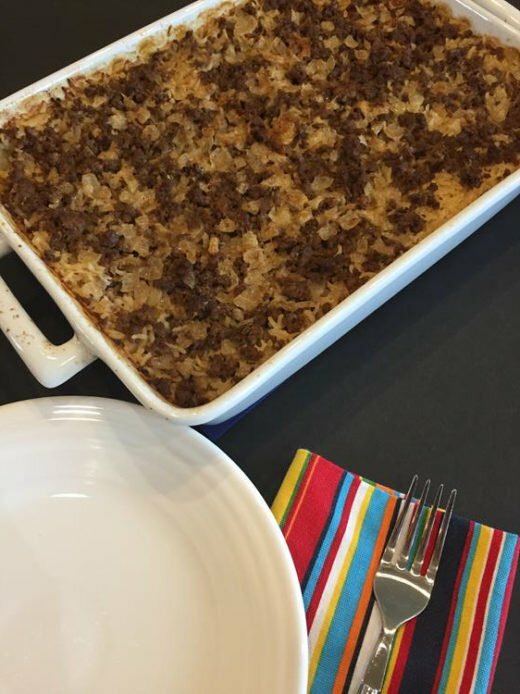 I first shared this recipe back in 2009 and it is still a favorite with my family and readers. I have made this so many times over the years. I make it as a side dish for my family. I have served it to company many times as a way to make Mexican type food serve more people. And I have taken it to many church dinners and potlucks. It is also one for recipes that even my rice hating child will eat. You really can’t go wrong with this recipe. 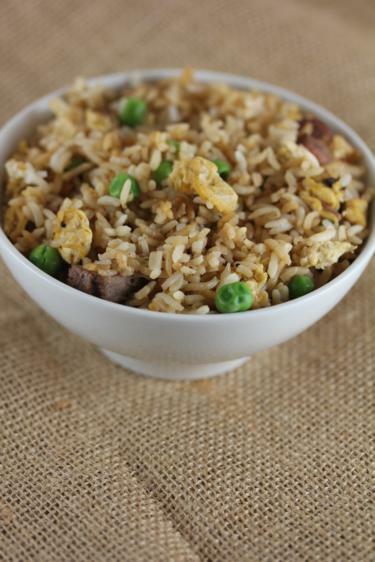 Fried rice is one of the best ways to use up leftover rice. Actually it is one of the best ways to use up leftovers in general. This recipe uses leftover steak, but I will be very honest and say that now that I have teens we rarely have leftover steak. So I also make this with leftover pork, chicken, or even meatless with just vegetables. 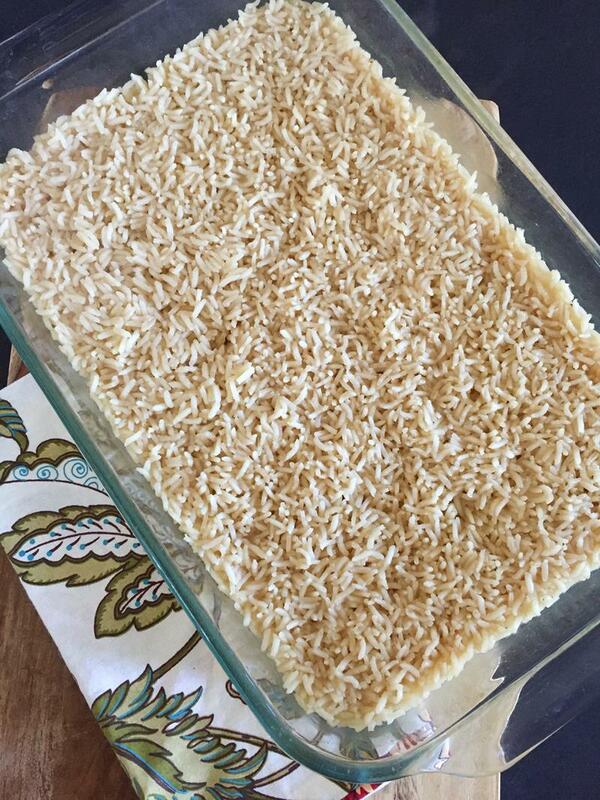 If you love that famous boxed rice mix you need to try the homemade version. I first shared this recipe ten years ago and it is still one of the most popular recipes on my site. Once you try the homemade version I doubt you will ever make the boxed stuff again. Four ingredients are all you need to make this simple green chili rice. It makes a great side dish, but I also like to serve it as part of a meatless meal with beans and quesadillas. 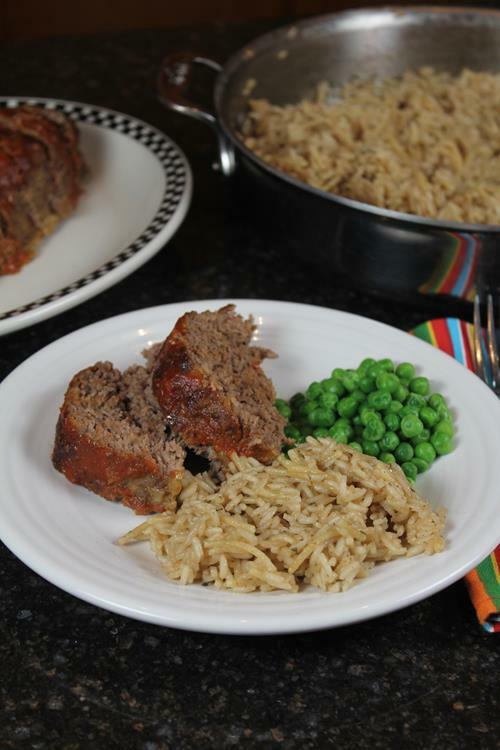 Need a side dish to go with chicken, roast, meatloaf, or pork? 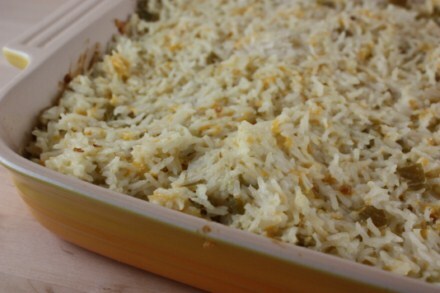 Cheesy Baked Rice is an easy and delicious side dish with just about any meal. 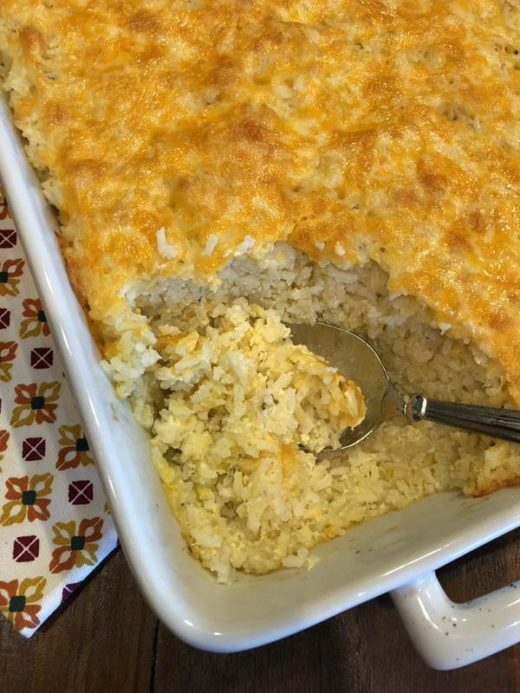 Buttered Rice is another one that goes with just about any meal. This is one I could actually eat for a main dish with some simple vegetables. The men in my family would disagree with that, but I can eat buttered rice by the bowlful. This is another version of fried rice that we love. 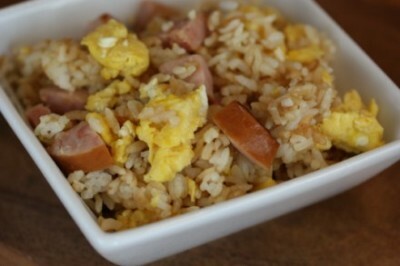 It is not traditional fried rice, but it is an easy and delicious main dish. 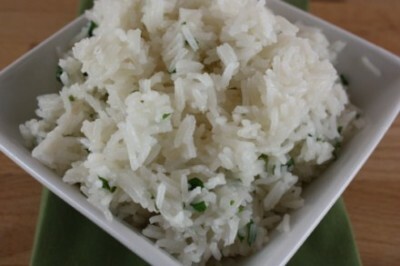 Cilantro Lime Rice is great with many types of meals. We love it with salmon. It also works great for taco bowls. 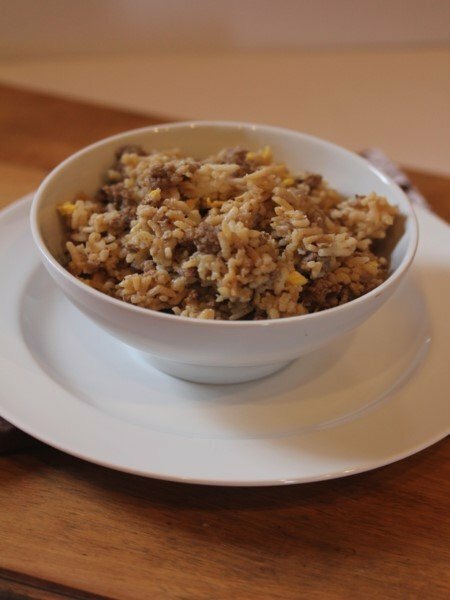 Buttered Rice with Ground Beef is basically ground beef added to my basic buttered rice recipe. It is an easy and delicious dinner. It may not be pretty, but it is a great quick and easy dinner. This is another recipe that I have made for years. My whole family loves it. It is a main dish recipe that uses cooked or leftover rice. It is also a great one pot dinner. This is another one of those recipes that is not traditional, but we love it. It makes a great breakfast or breakfast for dinner. 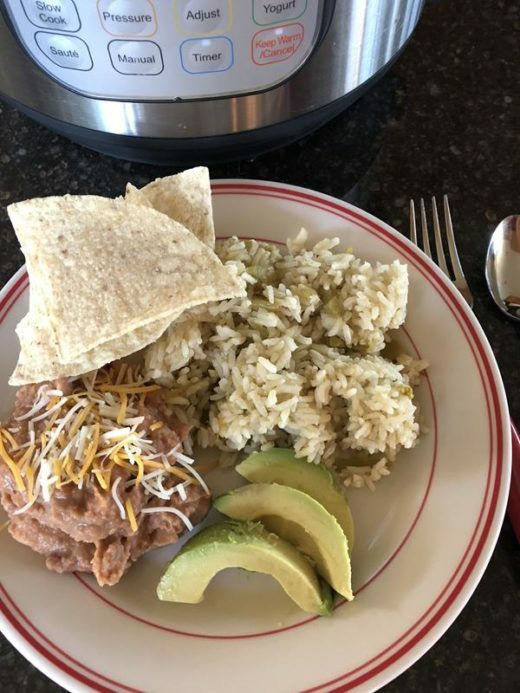 Instant Pot Green Chili Rice is another way to cook rice in the Instant pot that we love. What is your favorite way to cook and serve rice? Do you have a favorite way to change it up?